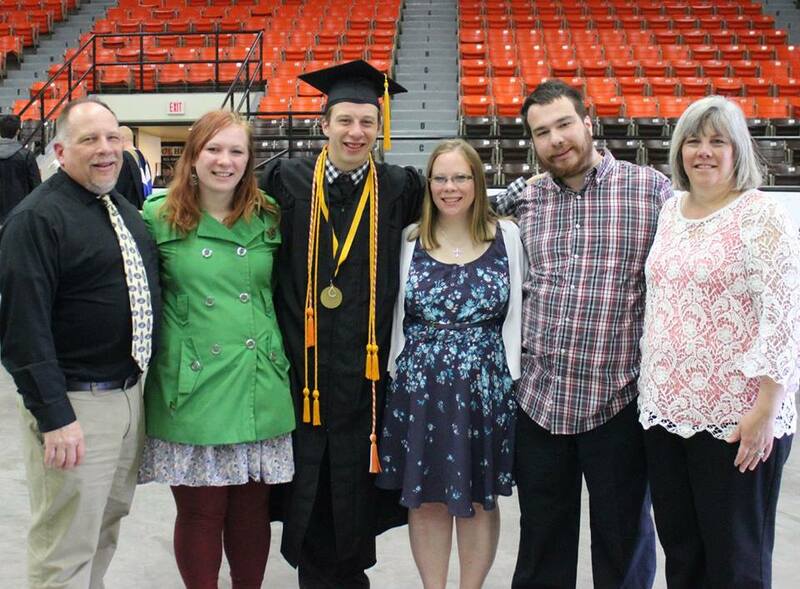 "Mayor Jeff Martin with his family - Emma, Ed, Christine, Charlie and his wife of nearly 30 years, Linda - at his son's graduation from UW-Superior"
Welcome to Chetek, Wisconsin, the City of Lakes now in our 125th year! When the logging industry petered out in the late 19th Century, the dam on Lakeview Drive was built creating the Chain of Lakes. That little construction project transformed our little river town into a tourist attraction and ever since people have been coming “home” each summer to fish, ski and enjoy the ambiance of our fair city. Of course, we do more than fish around here. There are a number of thriving companies that do business here in town and recently Chetek-Weyerhaeuser High School was recognized as one of the Top 100 schools in Wisconsin by U.S. News & World Report. In Chetek, the Mayor is the Chief Elected Executive Officer and serves on a part-time basis. As Mayor it is my responsibility to preside at the monthly City Council meetings and represent the City at all official gatherings. I also chair the Plan Commission as well as provide oversight to all city officials, staff, boards and the Chetek Police Department. I serve in the capacity as an ambassador of the city that we all call home. The Mayor's term is two years and my term expires in April 2018. You may contact me at chetekmayor@cityofchetek-wi.gov or by calling City Hall at (715) 924-4838. You may also follow me on Facebook at Jeff Martin, Mayor or at my blog The Mayor's Mind (or, at least, a piece of it) where I regularly post some thoughts on matters that pertain to all things about living in the City of Lakes. I love my town and consider it a great honor to serve her as mayor. Regular meetings are held on the second and last Tuesdays of each month at 8:00 p.m. in the Council Chambers of the City Hall.